This printed Jacobean pattern Micro Flannel® comforter set will add style and comfort to your home. 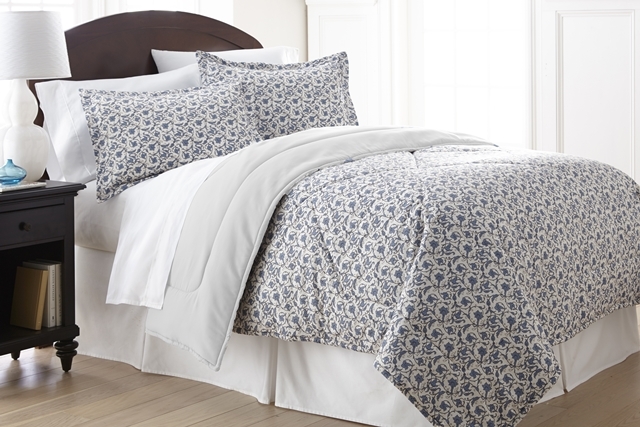 Get cozy with our printed Jacobean patterned Micro Flannel® comforter. When you demand the softest bedding, these king, full/queen and twin comforter sets, complete with shams, will deliver. Twin set includes one standard sham. Full/Queen set includes two standard shams. King set includes two king shams. Polyester. Washable. Imported. Twin: 90 in x 66 in - Full/Queen: 90 in x 90 in - King: 90 in x 104 in.